Don't miss your chance to be a part of our 2 Day Hands-on In-the-Hoop, Embroidery Made Easy 101 Party! 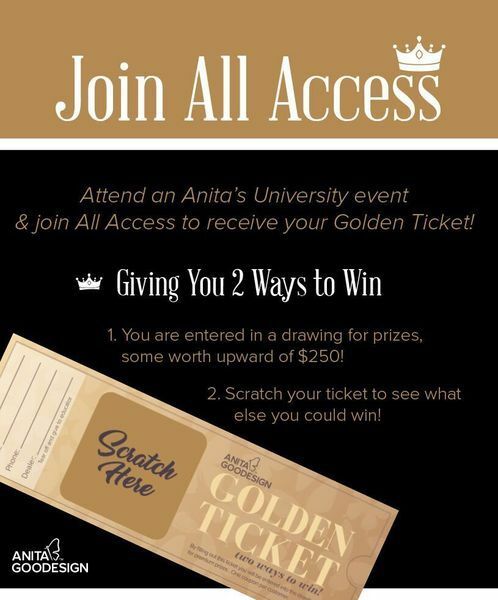 Featuring Anita Goodesign! Over the course of this class you will receive top grade education in so many different techniques involving embroidery, quilting and In the Hoop designs. 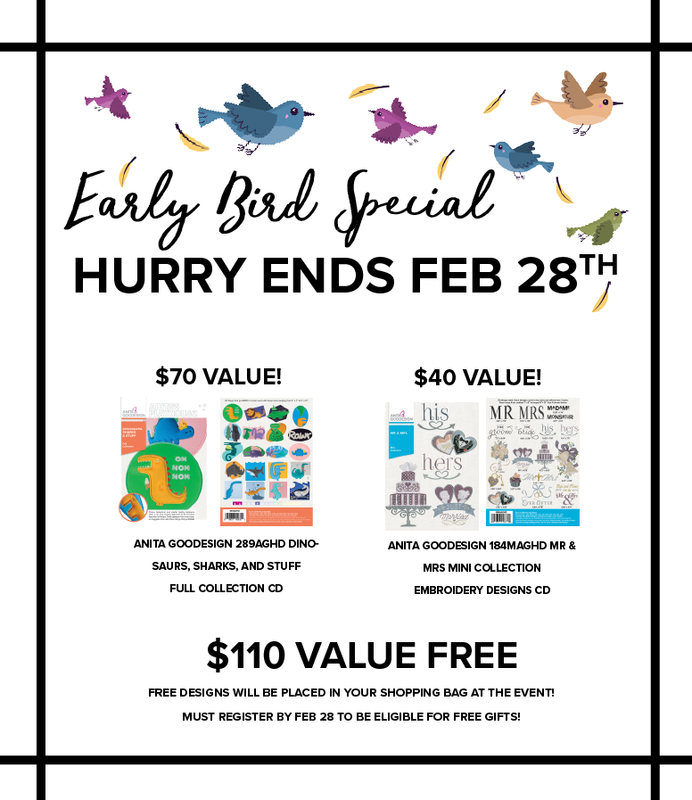 During the course, we will dig deeper into these core techniques and take a look at individual methods that Anita Goodesign has made so simple. A few techniques you can look forward to in the embroidery section are satin stitches, puffy foam, fringe embroidery, blanket stitch, mylar appliqué and more! With our quilting, you’ll learn how it’s completed in the hoop, saving you time, money and fabric—you won’t want to create it any other way going forward! Along with that you’ll see how we make folded fabric, trapunto, confetti appliqué, crazy quilting and more so very easy for you. We’ll get into vintage embroidery techniques along with In the Hoop projects such as zippered bags, drawstring bags, ornaments, and the list goes on! 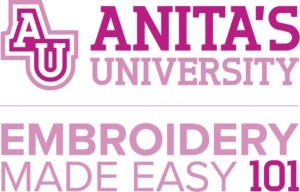 You’ll also see how to add embroidery to your garments with our easy to do fashion techniques along with adding free standing embroidery and even creating jewelry pieces—you’ll be sure to turn heads on campus after you see what all you can easily do. Aside from Being an Event Educator, Bryan is also in the Creative Department as a Creative Assistant. When he's not out on the road doing events he is responsible for helping to com p with design as well as testing the sogtware by stitching everything out. He helps write tutorials, and you will also see him in some workshops. 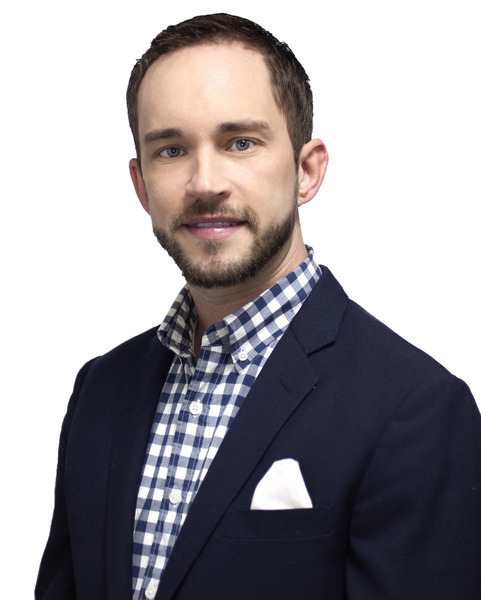 With over two decades of experience in customer service, events, and retail, Bryan is excited about bringing all his professional experiences together to host Anita Goodesign's events. We've upgraded locations! 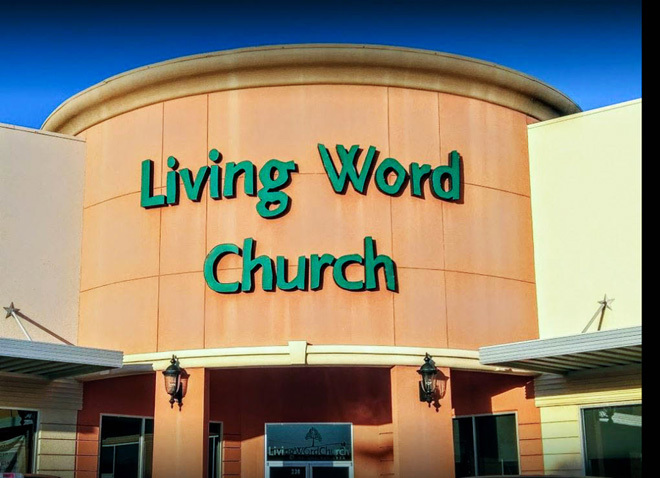 We had such a large amount of sign ups, that Liroma was too small as a venue to hold all of the attendees, so we have booked Living Word Church. This event is hosted in a church, but this is a secular event. All people are welcome! I am so glad to have many more local offerings for events! Thank you!